The unique patented CFC*-pyrolysis technology, upon which Enviro’s full-scale plant is built, gives a high quality recovered Carbon Black product from end-of-life tires. The high quality is to a large extent correlated to what degree the oil is driven away from the tire chips during pyrolysis, which is a type of dry distillation in an oxygen free atmosphere. First key evidence that the pyrolysis has been successful is the result from the transmittance of toluene extract test showing that all oil residues have been driven out, leaving a completely odor-free product. The surface area and oil absorption number (OAN) are consistent and show low variability. The final evidence of the high quality is the evidence that the recovered carbon black can be re-used in rubber compounds. As the EnviroCB™ is replacing 100% virgin N550 in several commercial rubber applications this is a true proof of concept. All the major customers are delivering to the global market. The price of carbon black is correlated with the world market price of crude oil, which has increased by several folds over the past 20 years. Carbon black, is the first commercial nano-material, and comes in a variety of grades depending on the end application. 90% of all carbon black produced is used in rubber applications where it acts as a reinforcing filler. Furthermore, carbon black is also used as a black pigment in everything from plastics to mascara. Carbon black is also electrically conductive and can therefore be used to handle static electricity. Moreover, the addition of carbon black gives UV-protection to a material and reduces the need for UV-protective additives. Enviro’s focus is to recover carbon black first of all for re-use as a reinforcing filler in rubber materials. Virgin carbon black is produced with various sophisticated methods, the most common nowadays being the furnace process. Depending on the properties required in the rubber material there are a variety of different carbon black grades to choose from. 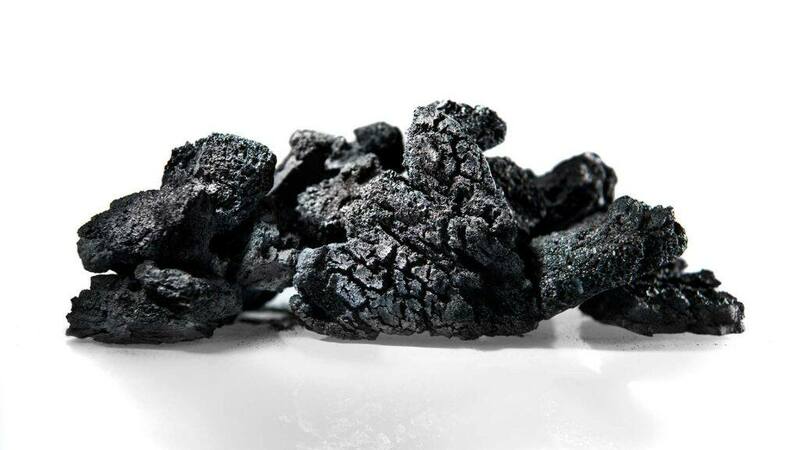 The pyrolysis technique does not create any new carbon black, but recovers the original range of carbon black grades that were in the tire rubber, from N110 up to N772. Any carbon black product from ELT –pyrolysis would therefore have the innate property of being a mixture of the inherent grades. Approximately 30 percent of the tire is made up of carbon black which is recovered in the pyrolysis. After pyrolysis there are several post-processing steps where the steel and textile are separated from the carbon black. The carbon black is then milled to ensure correct particle size distribution. Virgin carbon black also form micro sized particles coming from agglomerates of the small nano-sized primary particles. Carbon black grades differ mainly by the surface area and the structure. The surface is re-exposed after pyrolysis and milling. All in all, the carbon black from a controlled mixture of end-of life passenger car and truck tires pyrolyzed by Enviro is today replacing virgin carbon black (N550) up to 100% in commercial applications which is a true proof of concept. Enviro continues to develop and widen its range of quality carbon black products, primarily via choice of raw material source. Recovering carbon black also mean re-using precious raw material, thus moving higher up the recycling hierarchy. In addition, the process of producing the recovered material has significantly lower CO2 footprint compared to traditional furnace process. The global market for carbon black accounts for an annual turnover of approximately 25 billion USD, and is expected to grow by around 4 percent per annum until 2020. Asia is currently the largest producer and consumer of carbon black, accounting for about 55 percent of global production and consumption according to 2010 figures. China accounts for nearly half of Asian consumption. The majority of the increase in carbon black production capacity expected to come about in the next five years will come out of Asia, with China leading the way. The growth in carbon black production is closely linked to the automotive industry and to tyre production. The fact that more and more global automotive production is moving to China, India and Eastern Europe is prompting the tyre industry, and therefore also carbon black producers, to follow. There is a steady trend toward concentration and consolidation among carbon black producers. Petroleum companies have scaled back their production of carbon black, and the sector is now dominated by chemical companies whose main product is carbon black. All the major producers are global players. The price of carbon black is correlated with the world market price of crude oil and vary over time. The recovered carbon black from our process is less impacted by the crude oil price volatility and able to keep a more stable value over time. We would love to hear from you! Please fill out the form and we will shortly be in touch with you.